Safety and health are embedded in our corporate core values. We recognize that our most important resource is our people. Our goal is zero injuries, thus ensuring a secure and healthy workplace for co-workers, contractors and clients. 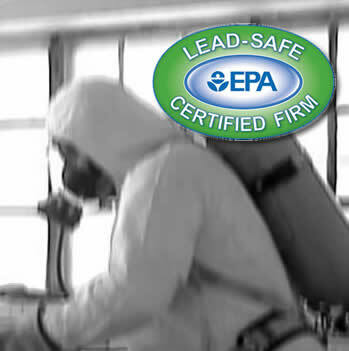 Our health and safety program is highly successful. Our EMR ratings are exceptionally low. All Thermatech Northwest employees adhere to a strict safety policy. On every project, both preventive and proactive safety approaches are used. This allows hazardous situations to be assessed and resolved before they become problems. Our crews receive daily site safety briefings where they are encouraged to actively share their knowledge and best practices with each other to continue reducing the risk of incidents and improve our performance going forward. 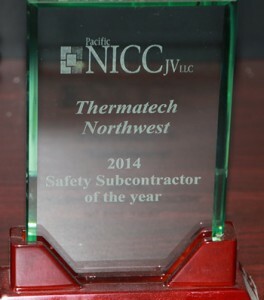 Thermatech Northwest has a genuine concern for environmental care and resource management. We believe that careful, considerate, and responsible actions toward human health and the environment is a serious obligation for our company. Our contribution is to use all new technologies and processes to lower our environmental footprint.